Teeth whitening is a popular cosmetic dental service at Blaisdell Family Dentistry in Boise, and indeed in the rest of the United States. Results vary, but most of our patients get significant lightening that lasts up to a year. They also say that a whiter smile elevates their self confidence and can take years of wear and discoloration away to reveal a brighter smile. Teeth whitening and teeth bleaching, however, describe two different things. Surface cracks and stains ensue on tooth enamel, exposing the yellower dentin below the surface. Discoloration can be the result of the natural aging process, illness, genetics, or dark colored food or drink. Foods and beverages that are both dark colored and acidic— like wine, coffee, and tomato sauce—have even stronger staining power. Teeth whitener can refer to any product used to remove stains from tooth enamel: toothpaste, DIY strips, and some mouthwashes are safe and affordable and can whiten teeth with continued, regular use. What they cannot do is match professional whitening treatment. The term “bleaching” means a teeth whitening product that contains a form of bleach, either hydrogen peroxide or carbamide peroxide, in varying concentrations. At Blaisdell Family Dentistry in Boise, we provide Zoom! take-home whitening kits. 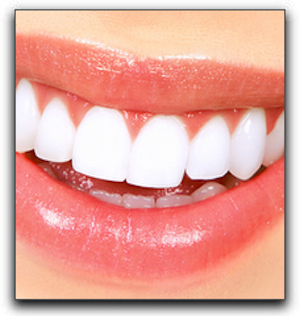 We make custom-fitted trays that hold the special whitening gel that results in a dazzling smile. Call the friendly team at Blaisdell Family Dentistry to set up a consultation! We provide additional cosmetic dentistry procedures, as well as teeth straightening with clear braces.